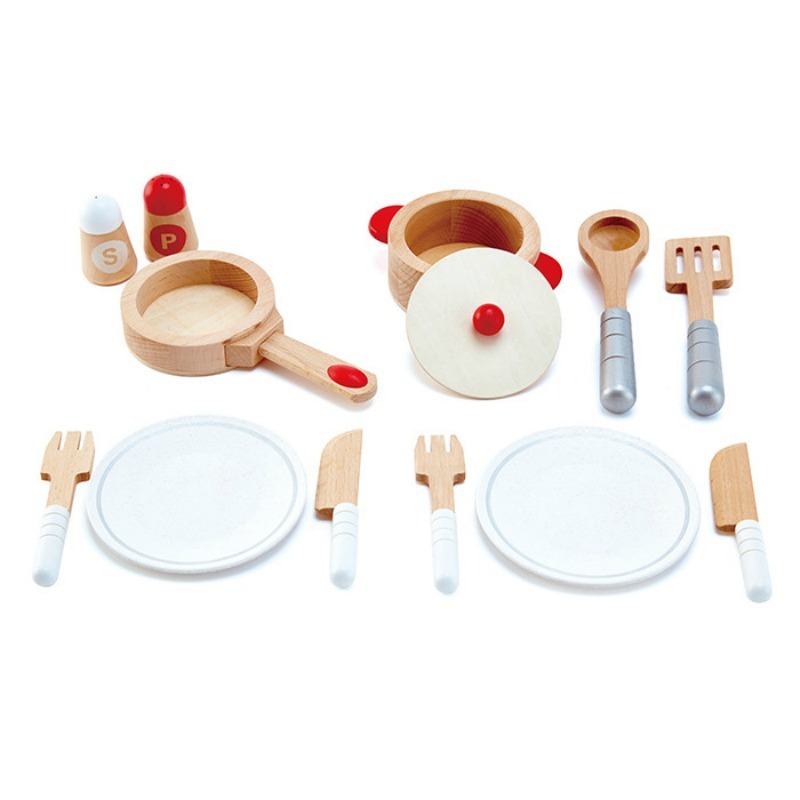 This 13 piece wooden Cook and Serve Set from Hape is perfect for imaginary kitchen play. 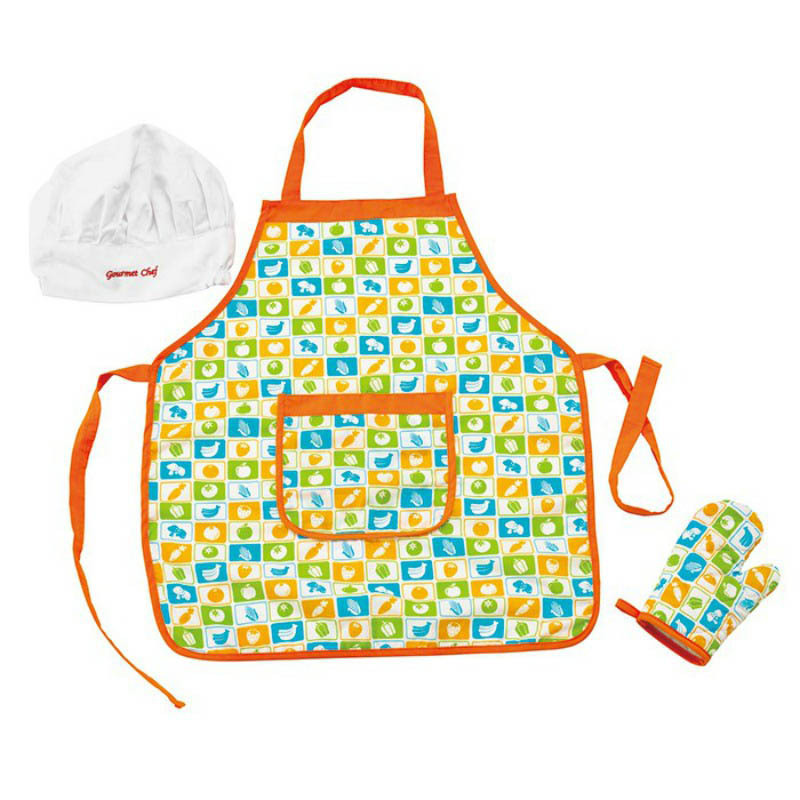 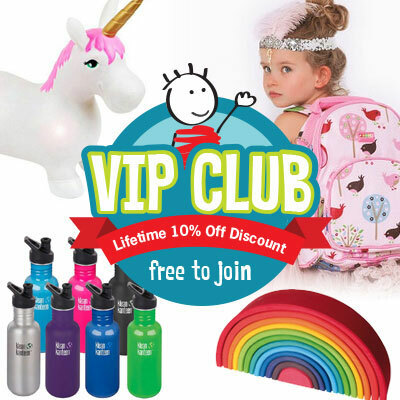 The Set includes a wooden pot, pan, plates and accessories, everything little budding chefs need to cook a delicious meal for friends or family! 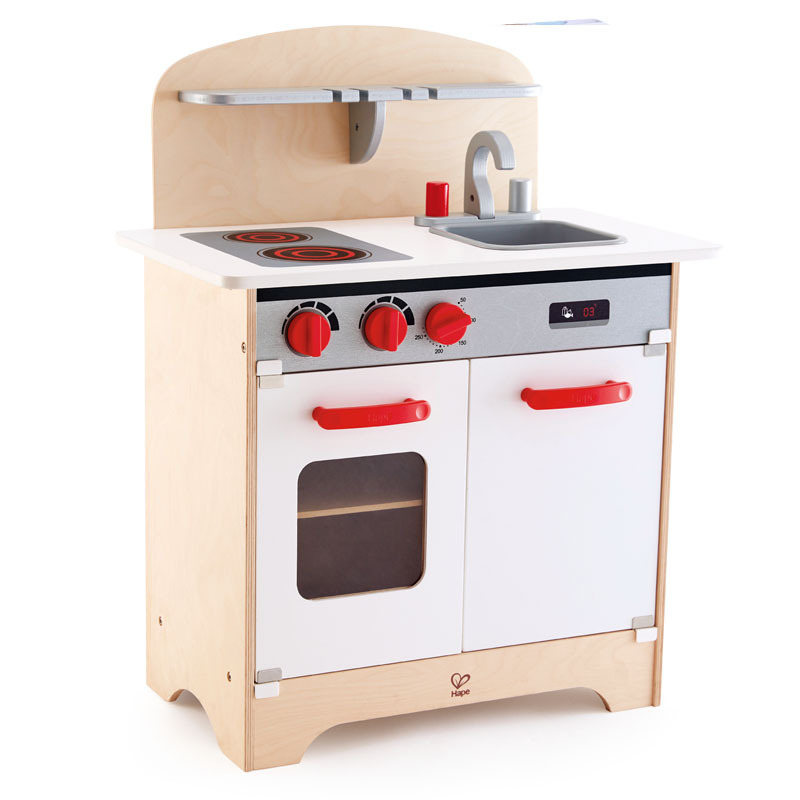 Designed and painted with a neutral colour scheme, the Hape Cook and Serve Set is a great resource for every child's play area, encouraging creativity, imagination, fine motor skills, social, emotional and communication skills. 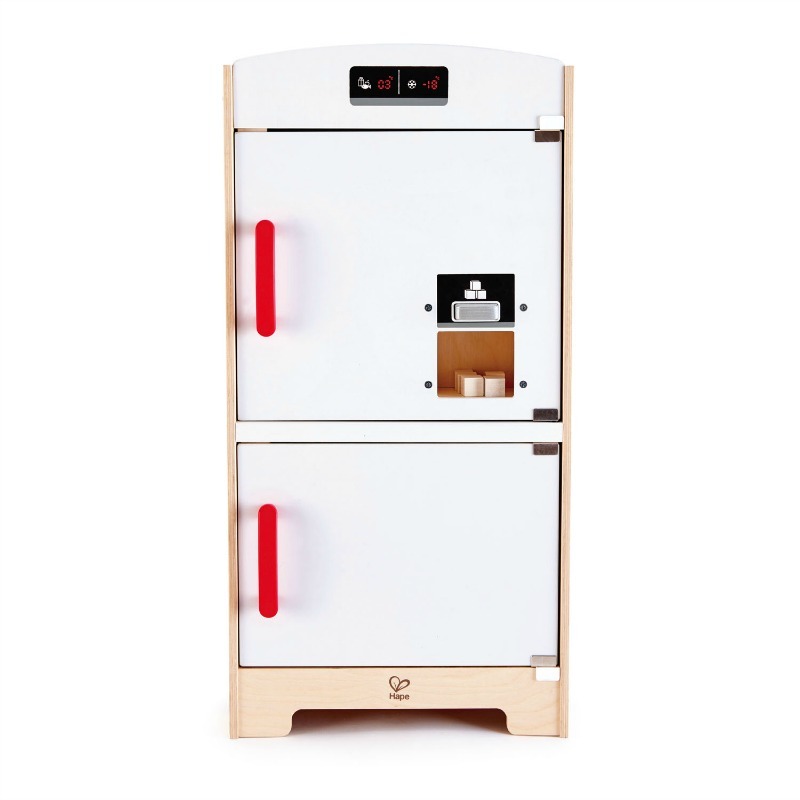 See here for more matching,wooden kitchen accessories from Hape.